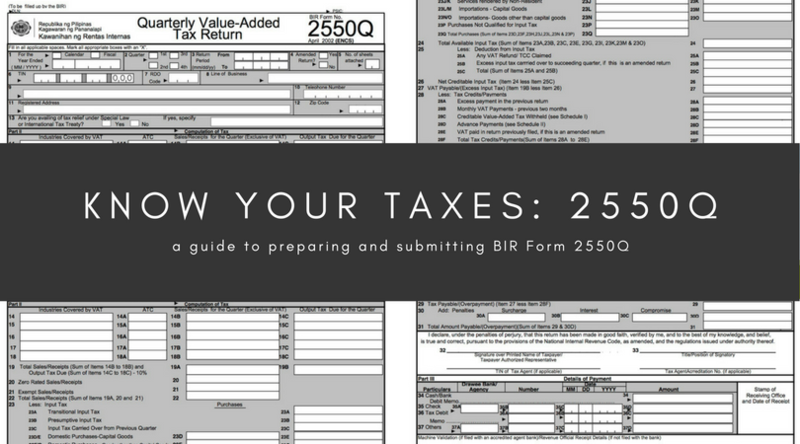 BIR Form 2550Q is also known as the Quarterly Value-Added Tax Return form. It’s like the Form 2550M only this is filed quarterly. If you’re a VAT-registered business or a business required to register as a VAT payer, you should file 2550Q if your business’ actual gross sales or receipts exceed three million (3,000,000) pesos. Also, if your business is in the importing of goods, you need to file 2550Q. When is the deadline of 2550Q? Form 2550Q is due within 25 days after the close of the taxable quarter. How do you prepare 2550Q? Fill out all the necessary fields on the form, making sure all values and data are correct. For fields with options, place an X mark right next to the applicable choice. To make form preparation less complicated, you may use Oojeema’s built-in 2550Q. 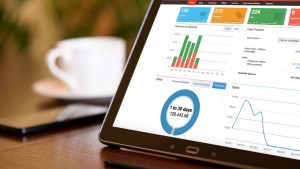 Oojeema’s built-in 2550Q automatically updates as you add sales and purchase transactions. This means if you’re filing through eFPS or eBIR, you no longer have to manually compute input and output VATs. Just click generate then you can key in the amounts on the eBIR and eFPS portals. How often can I amend 2550Q and when is the amendment’s deadline? There’s no limit to the number of amendments, but note that it may trigger investigations. Deadline-wise, you may submit it as long as there’s no notice for audit from the BIR for the period you are amending. Can I use 2550Q to amend the entries in the already submitted 2550M? Yes. The quarterly reports are what’s final. This includes the quarterly RELIEF. If the taxpayer uses EFPS for filing 2550Q, is stamp still necessary? If taxpayer is an EFPS filer but temporarily filed 2550Q thru eBIR due to inaccessibility of EFPS, are you still advised to re-file it thru EFPS? No. Just attach the advisory (e.g. see image) if it becomes an open case. In filing 2550Q if with a “sale to government,” what would be the required attachments for the creditable withholding VAT? Do I need to include it in SLSP? –BIR Form 2306. SLSP includes all sales be it exempt, vatable or, zero-rated. Can I use a different email in eFPS where the confirmation will be sent? Will it not confuse the system? Is 2550M still needed for the last month of the quarter along with 2550Q? Mistakenly used 2550M for the last month of the quarter instead of 2550Q, how can I amend? You need to refile using 2550Q indicating the amount paid in the misfiled 2550M. If it’s beyond the deadline, you may be charged for late filing. How much is the penalty for late filing? It depends on the sales. The amount is accelerated. Go to your RDO for the assessment. Does the penalty (for late filing) apply if the system is down on the deadline date? It shouldn’t. But look for memorandums to avoid being penalized. Does the penalty (for late filing) apply if the VAT payable is zero or negative? How long does it take to receive the confirmation? It should be received within the day; otherwise, you may delete the RDO copy and save the 2550Q you made. Refile it. Note that this is only applicable if it’s not yet past the deadline. If you still haven’t received the confirmation after doing the procedure above, maybe the system traffic is heavy. What are the options if I submitted the wrong form in the eSub for an eFPS (e.g. 1701 instead of 2550Q)? Is there a 5-day allowance for eFPS filers (2550Q and its corresponding RELIEF) as stated by some? The extension is only for 2550M although the SLSP may be submitted until the 30th of the month following the close of the taxable quarter. Disclaimer: The information contained in this article is based on existing regulations and policies as of January 10, 2019. To the best of our knowledge, this information is factual and correct. However, should there be any discrepancy, always consult BIR for clarification. Make tax forms filing simpler. Try Oojeema today for FREE. What Challenges Do Accountants In The Philippines Face?